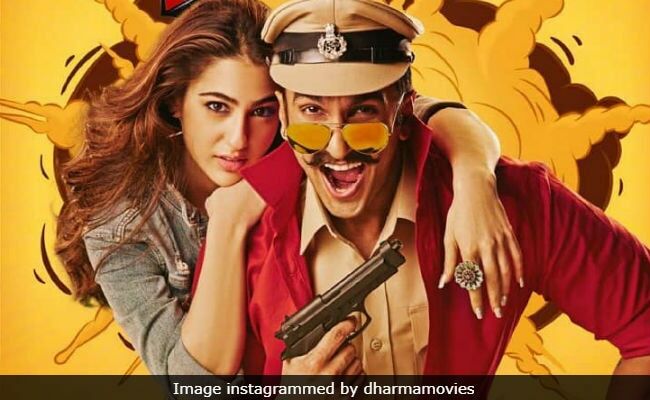 Simmba Movie Review: Caught between Rohit Shetty's flashy style and Ranveer Singh's pure physicality, Sara Ali Khan receives short shrift. Got to hand it to Rohit Shetty. The complete lack of pretention in Simmba is disarming. The director has built his career on films that demand willing suspension not just of disbelief. This one demands more - a jettisoning of discernment. But how much one warms up to the excesses of an incessantly roaring Simmba will depend wholly on the extent of our willingness to lay down our critical faculties and lap up this championing of vigilantism. The cop action saga narrated by Ajay Devgn, the star of Shetty's Singham, is about a cavalier police inspector Sangram Bhalerao aka Simmba (Ranveer Singh), whose roots lie in Shivgad, Singham's hometown. But unlike the squeaky-clean older officer, Simmba thinks nothing of resorting to corrupt ways to line his pockets. His profligate ways endear him to his subordinates in the police station in Goa of which he takes charge at the film's outset. However, one man in his team, upright head constable Nityanand Mohile (Ashutosh Rana), has nothing but contempt for him. The seasoned Mohile refuses to salute his new boss. He even insists on getting his own bottle of local whisky when Simmba offers to treat him to imported liquor. Simmba, an orphan, has grown up without a clear sense of right and wrong. He is however very good at making fathers, mothers and sisters out of just about anyone that he encounters. It is one such character that he draws into his personal orbit - a socially conscious medical student - who triggers a life-altering crisis. The cynical, profligate lawman mends his ways in dramatic circumstances - a teenage girl is sexually assaulted and he takes up cudgels on behalf of her distraught father. Needless to say, the lead actor lets it rip with infectious enthusiasm. Ranveer's energy levels come in handy as Shetty goes all out to deliver another exaggerated variation on the crusading cop theme. The methods that the hero employs are obviously problematic because he would have us believe that there is nothing wrong in bypassing the law in dispensing justice when the legal process is tardy. 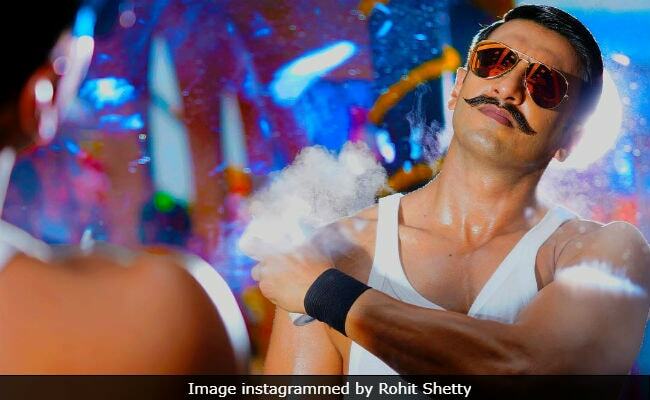 Simmba's no-holds-barred confrontations with the baddies, a band of brothers led by a natty Sonu Sood, playing a politically connected crime lord Durva Ranade, are presented with crowd-pleasing flourish. But the climax is a bit of a letdown, despite Ajay Devgn's thunderous appearance as Ranveer's comrade-in-arms, because of its rather predictable nature. To begin with, Ranveer's character, a man who has come up the hard way, is wild and wayward a la Chulbul Pandey. He exploits the power bestowed on him by his starched, three-star uniform. He is a lovable rogue. But that is hardly surprising: a masala movie hero has got to be allowed greater leeway with ethics and fair play than lesser mortals. And when Ranveer is the one in the aforementioned guise, it is even more difficult to dislike his. But when push comes to shove, Simmba quickly mutates into an unstoppable force of nature in the mould of Singham. Ranveer is in his elements in both modes, but his tendency not to ever temper his enthusiasm robs the film of the chance to deliver any nuanced moments. The film and its protagonist gallop from one big scene to another. Those that can relate to this kind of a-mile-a-minute momentum, the film will work just fine notwithstanding the mawkish, preachy tone it assumes in the lead-up to the climax. But if you are looking for breathing spaces amid all the huffing and puffing, banish that hope forthwith. That apart, Simmba is plagued with many an inconsistency. One of the lesser ones relates to the language that the hero speaks, a mixture of Hindi, Marathi and pidgin English. But when he spouts his catchphrase Malaa je maahit naahi te malaa saanga, he does the translation himself without faltering and getting the grammar wrong: "tell me something I don't know". Sounds cool, but not right! 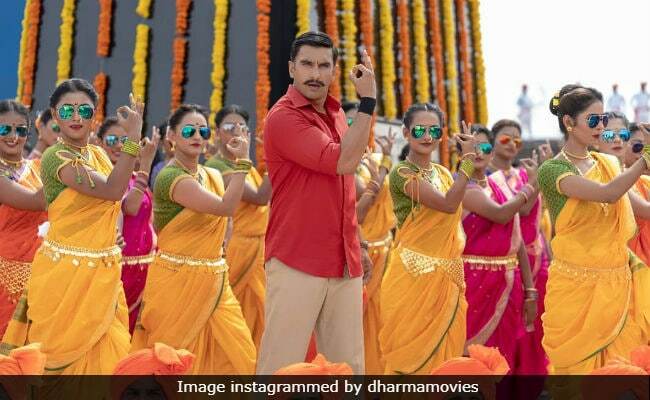 A far more serious failing is the manner in which Simmba speaks up for mob justice. Also, while the film addresses the vulnerability of women and the need for tougher action against sexual assaults, it confines the female characters to the sidelines. In the virile world of Singham and Simmba, women can only be sitting ducks, not fighters capable of protecting themselves. Even the Miramar police station, where a lot of the action takes place, has only one policewoman. But when Simmba drags the two rapists to the station house, he lets loose a posse of women in uniform upon them. They are angry and baying for blood, but that is where their involvement ends. There are many other women that Simmba deals with in a day's work, including his romantic interest, Shagun (Sara Ali Khan), a martyred encounter specialist's sprightly daughter who runs the catering service that feeds the cops, but they only stand by and watch when he and his men go after the rapists and their elder brother. Caught between Rohit Shetty's flashy style and Ranveer Singh's pure physicality, both of which serve the purpose of pumping up the pitch of the drama, Sara Ali Khan receives short shrift. That's a pity. Despite her limited presence in the film, she provides several flashes that suggest that Simmba would have benefitted no end had her character been etched out better. Simmba is the kind of film that derides toxic masculinity while ill-advisedly celebrating unbridled virility as a necessary component of law enforcement. Instill fear in the hearts of the wrongdoers, Singham advises Simmba. And how, pray, do you do that? Simmba advocates throwing due process out the window and embracing another flagrant form of lawlessness. And that can only be dangerous.